And that doesn’t count the $800 million in electric vehicle programs that Volkswagen is spending across the state as part of an unprecedented settlement to help resolve the carmaker’s emission scandal. California Air Resources Board is overseeing how and where the money is spent. When the VW settlement is taken into account, investments to electrify California’s transportation landscape go well north of $3 billion. The two largest portions of the money come from a pair of the most influential agencies in state government — the utilities commission, or CPUC, and CARB. CPUC has set aside $1.048 billion for various EV programs, with an emphasis on constructing charging stations. The money comes from ratepayer fees collected by the three investor-owned utilities CPUC oversees. The air resources board has budgeted a slightly higher amount — $1.087 billion. More than half goes to the state’s rebate program that is offered to Californians who buy or lease low- or no-emissions vehicles the state deems eligible. The standard rebate gives Californians $2,500 who buy or lease battery-electric vehicles, $1,500 for plug-in hybrids and $5,000 for hydrogen fuel cell vehicles. Lower income drivers can get more, while high-income drivers are subject to caps. Another $423 million of CARB’s efforts go to zero-emission trucks, buses and other vehicles to rid 10,000 tons of noxious nitrogen oxide from California’s air. The vast majority of the dollars CARB reserves for its EV initiatives comes from money raised via the state’s cap-and-trade program, the trading system put in place to reduce greenhouse gases. A third state agency — the California Energy Commission — also spends money on EV adoption programs, but to a lesser extent. Using money largely from Department of Motor Vehicles registration fees, the commission will spend $230 million through January 2024 to build refueling stations for hydrogen fuel cell vehicles. 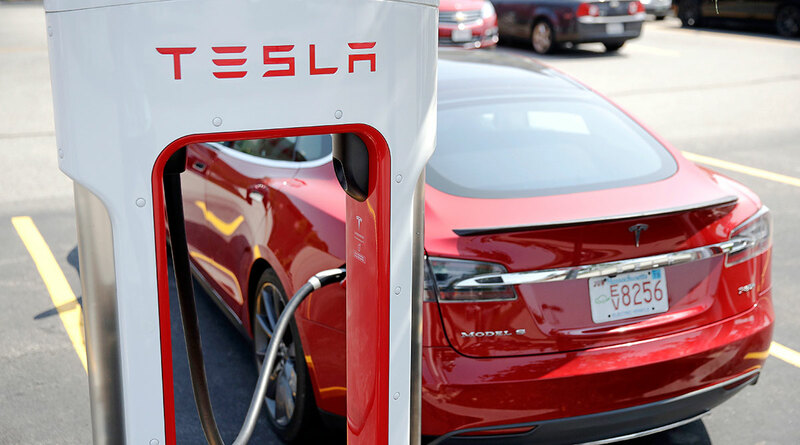 CEC expects to spend another $95 million by the end of this year on charging stations and other EV programs, although the commission said the numbers may eventually exceed $200 million. A combination of legislation, executive branch decisions and directives from regulatory bodies have resulted in a slew of programs aimed at remaking the auto sector. Former Gov. Jerry Brown originally set a goal of 1.5 million zero-emission vehicles on the state’s roads by 2025 but last year issued an executive order that dramatically increased the number to 5 million by 2030. And CPUC’s largest single EV investment — about $780 million over the space of five years — came as a result of 2015’s Senate Bill 350 that calls for 50% of electricity in the state to come from renewable energy sources and a 40% reduction in greenhouse gas emissions by 2030. State officials acknowledge the costs and say more programs are still to come. Supporters envision a vast network of charging stations — in communities both big and small as well as wealthy and needy — extending all the way to the state line with Oregon to the north and the Mexican border to the south. “We are under a directive from the governor’s office to help make the state carbon neutral by 2045,” CARB spokesman Dave Clegern said. If the targets are hit, Clegern said by 2050 the state should have a fleet of vehicles that is about 90% or more electric. According to CARB, the transportation sector accounts for the largest single source of greenhouse gas emissions in the state at 41%. California is home to more than 537,000 EVs, far more than any other state. At the same time, though, EVs represent a tiny fraction of the 25 million registered automobiles in California and the state would need to increase EV adoption by nine-fold in the next 11 years to meet the target of 5 million. Volkswagen created a subsidiary called Electrify America that will spend $2 billion over the next 10 years on EV programs across the country. Of that, $800 million will be spent in California over a 10-year period, with CARB looking over VW’s shoulder to make sure at least 35% of the money goes to disadvantaged communities populated by drivers who often cannot afford EVs in the first place.